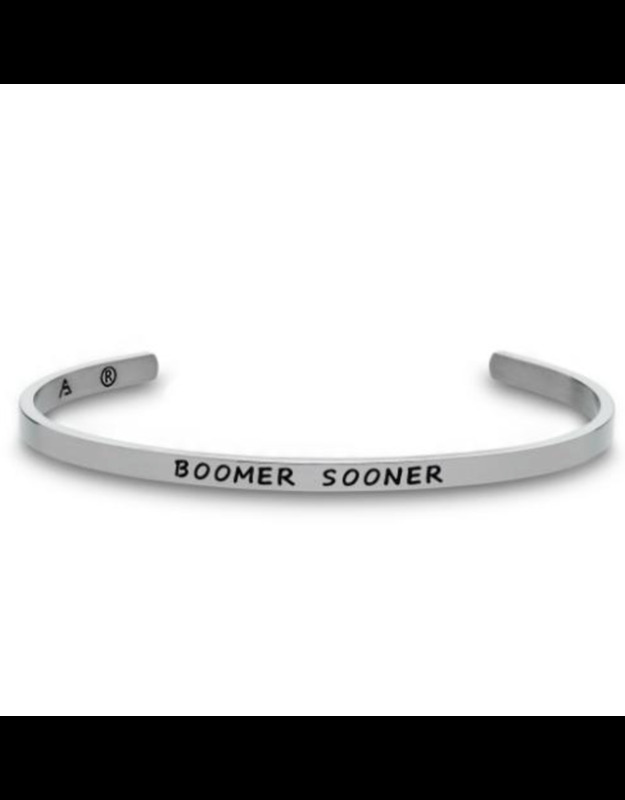 Sing loud and proud with this beautifully crafted 'Boomer Sooner' Oklahoma bangle bracelet! Show your team spirit with the iconic Oklahoma University chant! 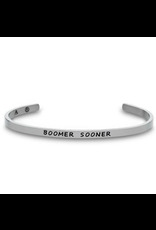 This bangle bracelet will make the perfect gift for any Oklahoma fan, student, or alumni! Wear it alone or layer with other bangle bracelets for a fun and classy look. Made of stainless steel. Product lifetime guarantee.